Since their creation as independent states in 1947 India and Pakistan have fought three wars and taken the subcontinent to the brink of nuclear holocaust. The two militarized states face each other across an uneasy “line of control” in divided Kashmir, frequently bringing the miseries of war to those living along the border. People of the subcontinent need peace, yet peace remains elusive. How can the roadblocks to peace be overcome? Karamat Ali is a well-known figure in the labour movement in Pakistan and also a prominent peace activist. He is the founder of Pakistan Institute of Labour Education and Research (PILER – in Karachi) and co-founder of The Pakistan India People’s Forum for Peace and Democracy. An eminent labour activist over the last four decades, he is the author of numerous articles and essays on labour, politics and development. Karamat is also the first recipient of Dadi Nrmala Deshpande Peace and Justice Award (2013). Born in Lahore, Irfan Malik is the Artistic Director of South Asian American Theatre in Boston. He writes in Punjabi, Urdu, and English. His latest book of Punjabi poetry, Dooji Aurat, was published in 2015. Organized by South Asian Network for Secularism and Democracy (SANSAD, sansad.org) and Committee of Progressive Pakistani Canadians (CPPC). Shahid Mirza. Leek 4. Mix-media on paper. 14″x27″. These two Public Lectures are sponsored by the SFU Labour Studies Program and the Hari Sharma Foundation. They are the first of a series to address key questions confronting the labour movement around the world. 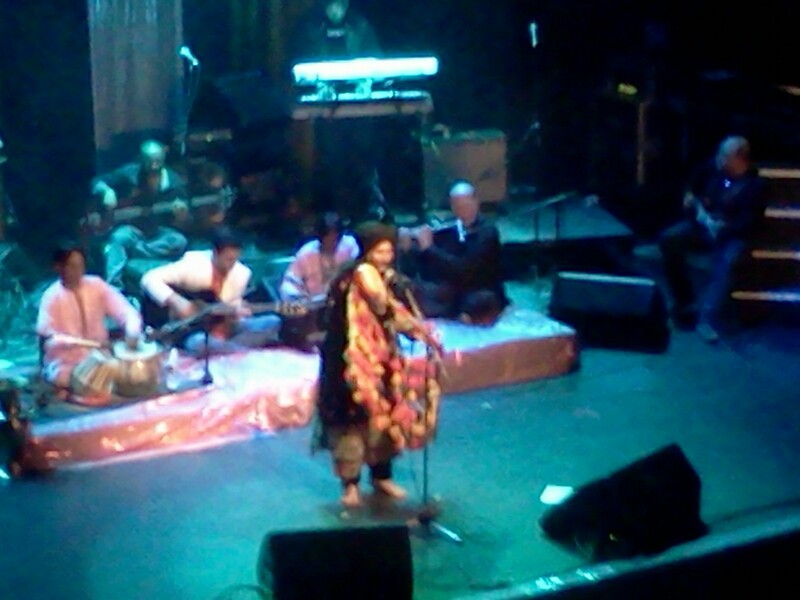 On May 31, 2014, Pakistani Sufi singer Saeen Zahoor performed at Vancouver’s Vogue Theatre, sending the audience into trance, dance and inspiring reverence throughout. The evening brought together local Indian and Pakistani performers, organizers and audience members. Indo-Pakistani band Naqsh IPB opened the evening with their blend of modern Sufi, rock, classical and filmi musical stylings. Through clashing drums, pulsating guitar riffs and the soaring vocals of Daksh Kubba, Naqsh warmed up the crowd for Saeen. 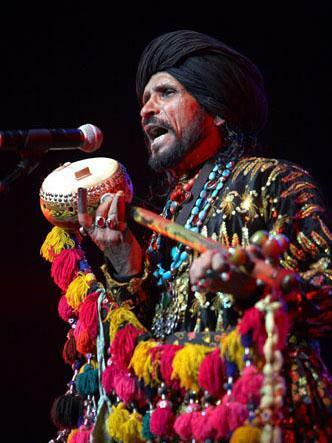 Saeen didn’t just sing: he performed in every sense of the word. The spirit of Bulleh Shah poured through Saeen, his songs, his dance, his story-telling. His two hours on the stage was a musical theatre on the life and poetry of Bulleh Shah. Saeen then broke out ecstatically into “Nachna Painda Ae” (‘Dance One Must’) swirling on the stage in his ghunghroo bells just as Bulleh Shah had once for Shah Inayat. From his stepping onto the stage, the audience became disciples of Saeen. He sang with abandon, he whirled with frenzy and he ended the night to the boom of the dhol drum bringing the audience to its feet. The air was filled with passion, energy and devotion. People went up to the stage and paid their respects by touching their heads to the stage or folding their hands in reverence: the theatre became a Sufi shrine, a dargah. She came. She spoke. She conquered. Arundhati Roy filled the pews of St. Andrew’s Wesley Church on April 1 as part of the Indian Summer Festival 2014. Roy also questioned Gandhi as the mahatma or “great soul.” Roy recounted how the anti-imperialist, anti-racist Gandhi fought alongside Great Britain in the Boer Wars, refused to ride in the same railway carriages as Africans and wrote in prison that Indians deserved separate prisons from vile and immoral blacks and Chinese.